Grand Rapids Label » Can your products benefit from long lasting, durable instruction labels? Can your products benefit from long lasting, durable instruction labels? 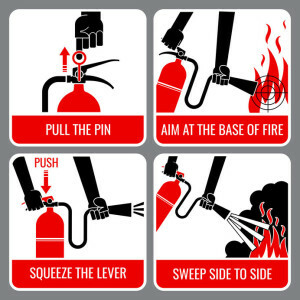 Whether your business manufactures landscaping tools, like lawnmowers and leaf blowers, or you’re responsible for installing the pins on fire extinguishers, one thing remains the same: the need for durable, long lasting instruction labels. When your customers throw out the instruction manual with the product packaging, they still need a way to operate your product safely. How will they do that without labeling? They won’t. That’s where we come in. Here at Grand Rapids Label we have over 30 years of experience manufacturing and designing attractive and long-lasting instruction labels. Using innovative product materials like biaxially oriented polypropylene film and our state-of-the-art water emulsion acrylic adhesive system, we’re able to assist customers with any and all of their instruction labeling needs. In fact, our instruction labels have been tested under the harshest conditions, and are proven to withstand exposure to chemicals, oils, and even corrosive acids. With the new year right around the corner, there’s no better time than now to set a resolution for your business. Resolve to improve your instruction labels in 2019. With our friendly, professional, experienced team at your side, providing your customers with clear, concise, and easy-to-understand instructions isn’t just possible, it’s guaranteed. If you’re ready to get to work, call us today! We look forward to assisting you.